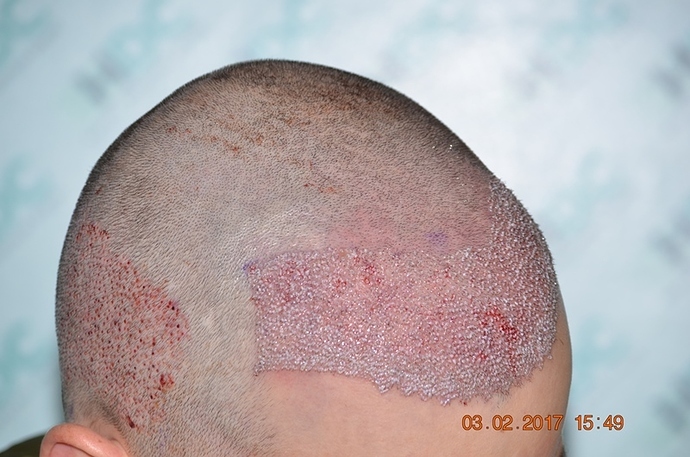 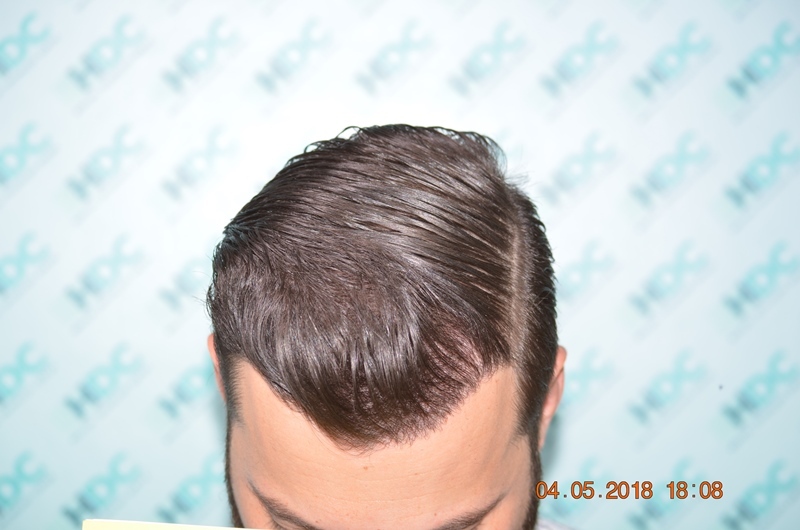 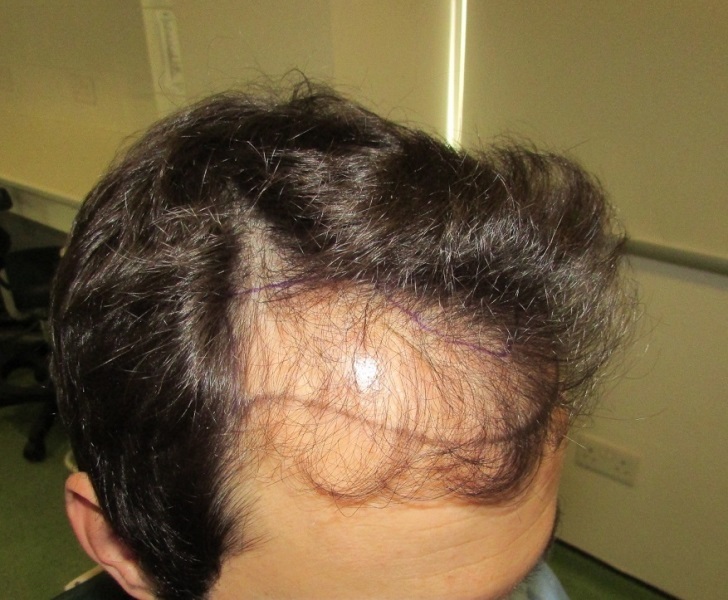 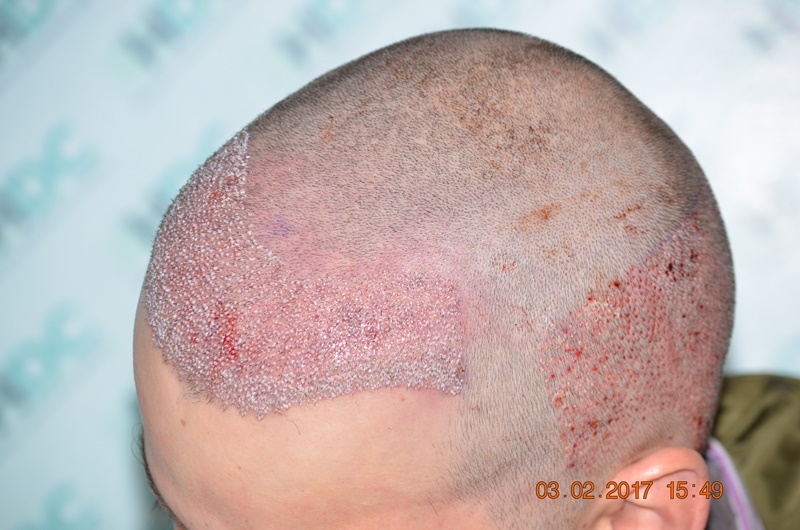 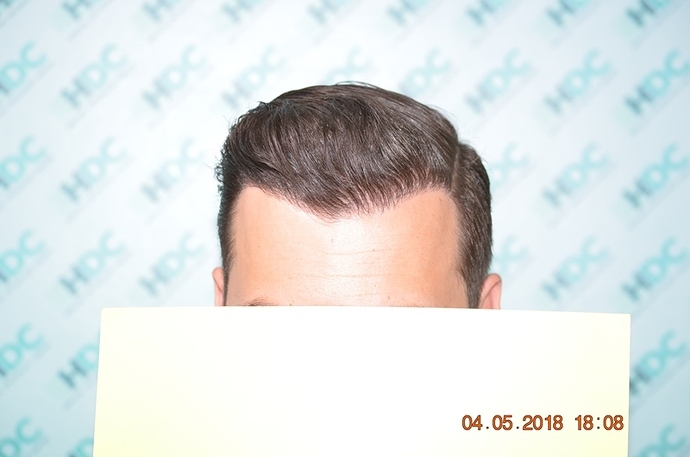 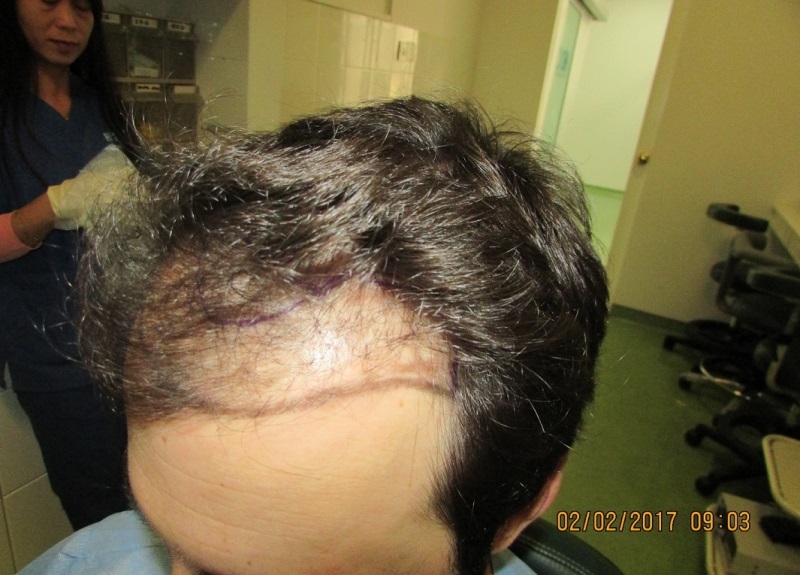 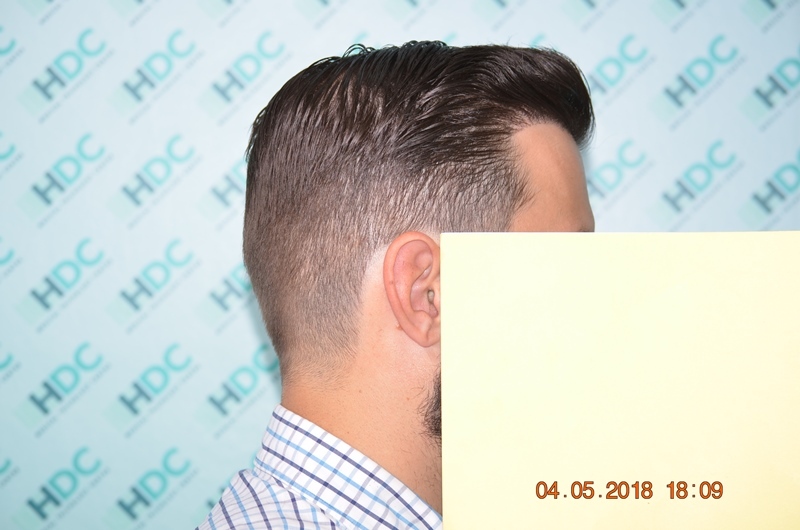 This is a 35 years old patient who lost hair in the front and wanted to restore this area with an FUE Hair Transplant, so as to fill it up and be joined naturally with his hair behind the thinning area. 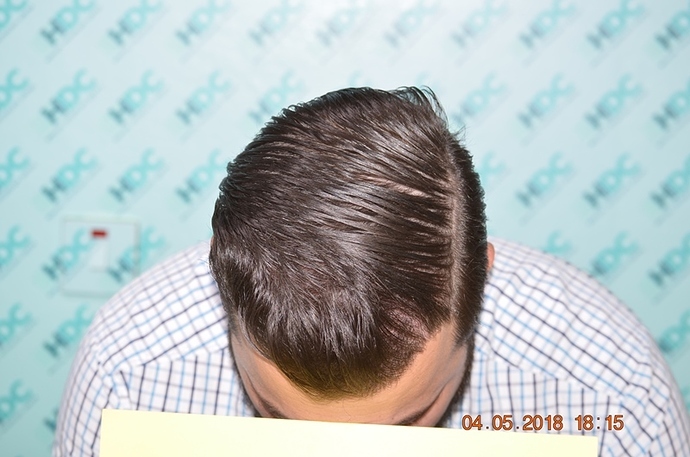 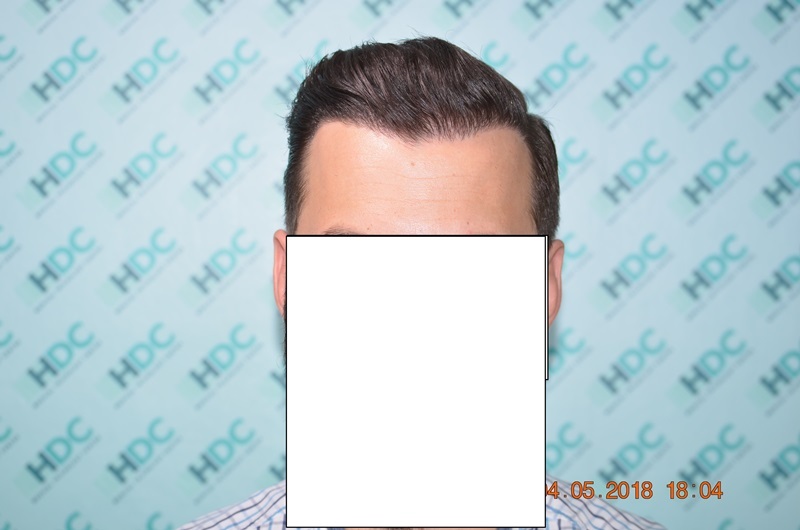 HDC Hair Clinic transplanted 3000 grafts and achieved this goal. 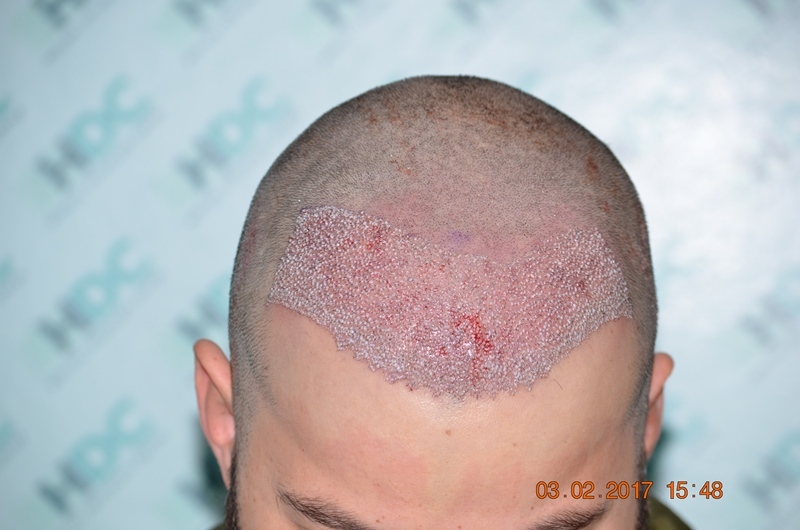 We present his Result, before, post op and 15 months after with clear indicative photos. 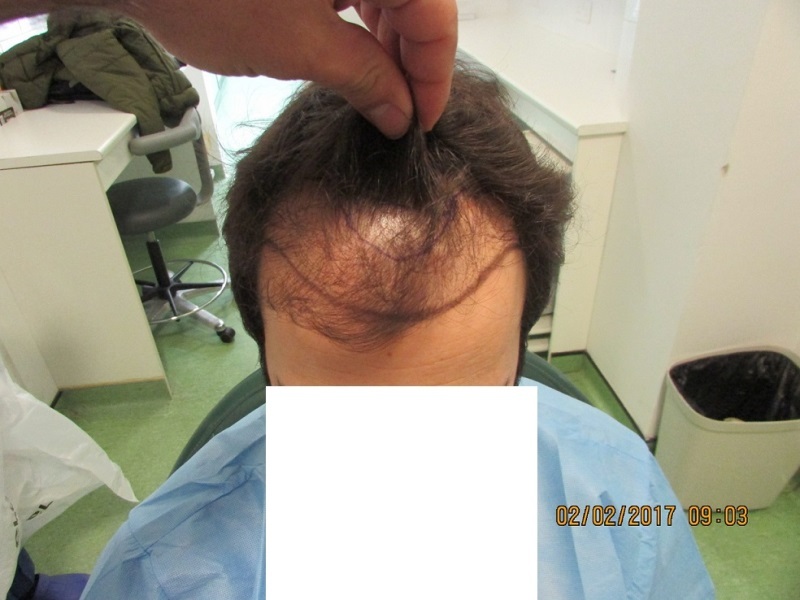 We also present the donor area 15 months after the removal of these 3000 FUE grafts and as you can see there is no sign of surgery. 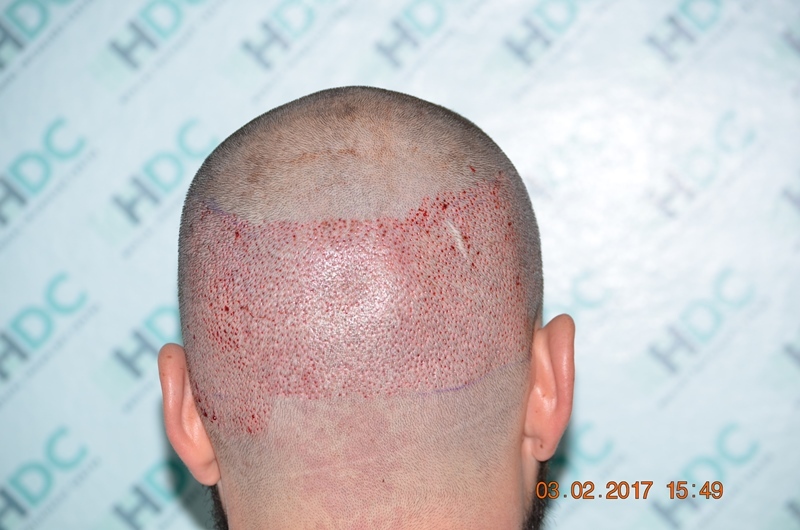 As explained in other HDC result presentations, the Hair transplant results have two dimensions. 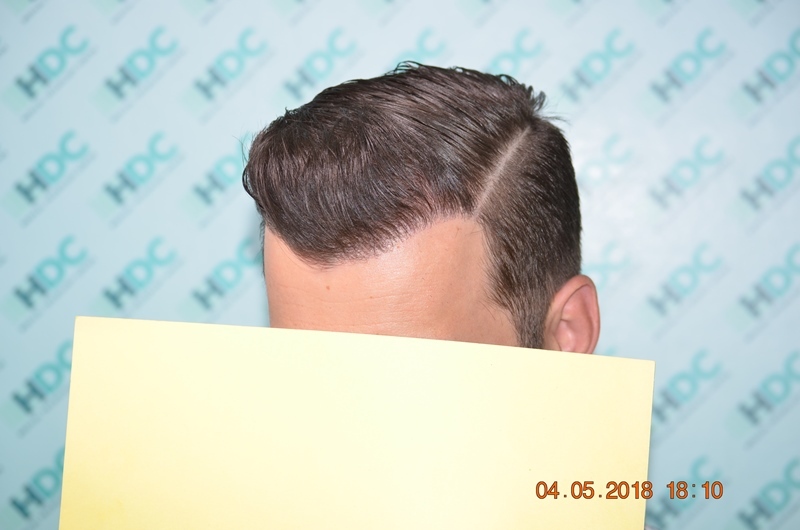 The first is the recipient area in terms of coverage and naturalness and the 2nd dimension, is the respect and depletion avoidance of the donor area. 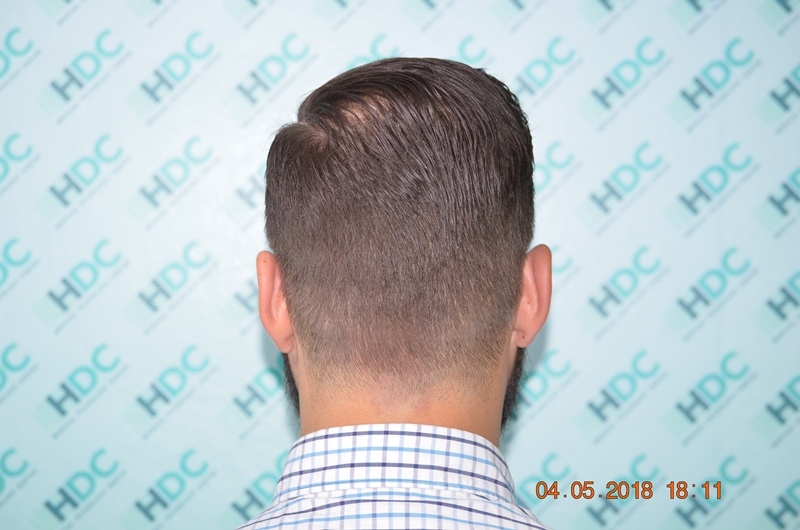 We have seen many surgeries lately that the result in the recipient area is acceptable, but the donor is depleted so that it can look bad with short haircuts and there is no much donor left for future FUE when the patient will need more hair. 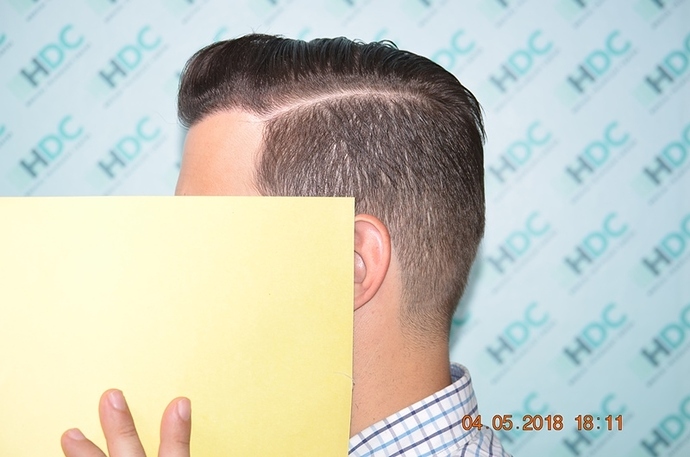 The leading doctor in the case was Dr Christina Vrionidou with the rest of HDC Medical team. 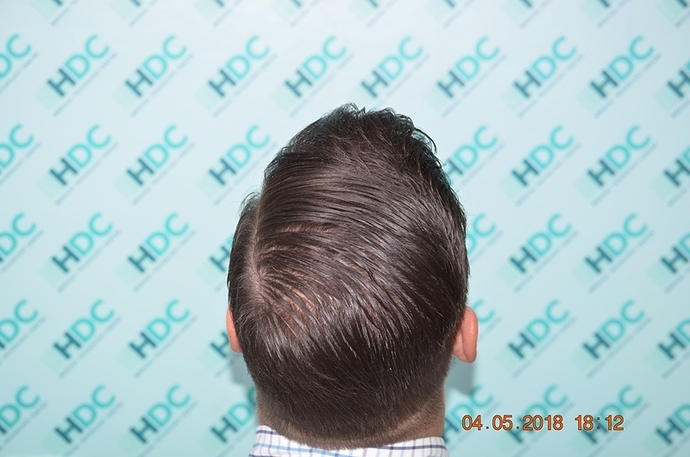 For more information how HDC medical team works is explained in this link.